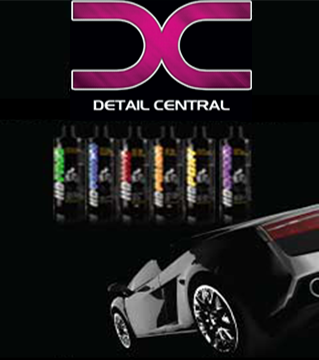 NANOSKIN VITALITY Synthetic Nano Spray Wax is the quick way to add depth, gloss, and protection to any vehicle! Spray it on and wipe to reveal a rich gloss that will stand up to the elements. NANOSKIN VITALITY is the perfect car wax for high volume detail shops or for the busy do-it-yourselfer. Apply NANOSKIN VITALITY to wet or dry vehicles. A quick wipe-down with NANOSKIN VITALITY after washing the car is a great way to prevent water spots and protect the paint in one step. Hydrophobic Polymer Technology allows moisture to bead and roll off the waxed paint. In just a few minutes, you can wax an entire vehicle with VITALITY, no matter the size of the vehicle! Mist VITALITY onto the surface. Spread product with clean dry microfiber towel. Avoid contact with eyes and do NOT swallow. Wash thoroughly after handling. Keep container closed. Read MSDS before using. IF EYES CONTACTED: Flush eyes immediately with plenty of water for 15-20 minutes. IF IRRITATED: Get medical attention. IF INHALED: Remove to fresh air. If breathing is difficult, oxygen may be given, preferably with a physician’s advice. Get medical attention. IF SWALLOWED: Do not induce vomiting, do not give anything to drink, get immediate medical attention.